The trip was 27 years ago. My mother-in-law, Paula, ate an entire pie at the Silver Dollar Pie Shop in Branson, Missouri while she and her family were on vacation. Not too keen on rich chocolatey desserts, Paula loves almost any dessert with fruit. 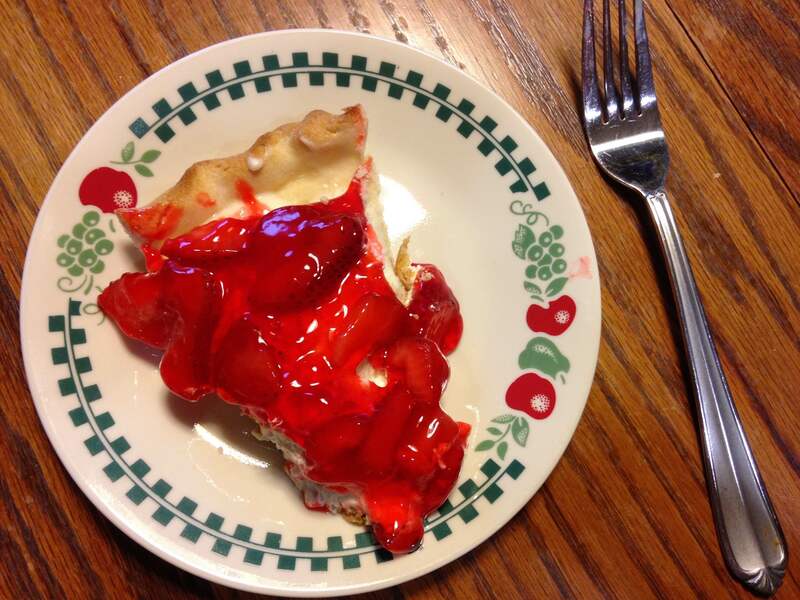 When she got back from Branson, she attempted to recreate the Silver Dollar Pie Shop’s strawberry pie. Don’t ever call her a quitter, because after 9 tries, Paula finally came up with this recipe. It tastes just like the one she had in Branson 27 years ago. 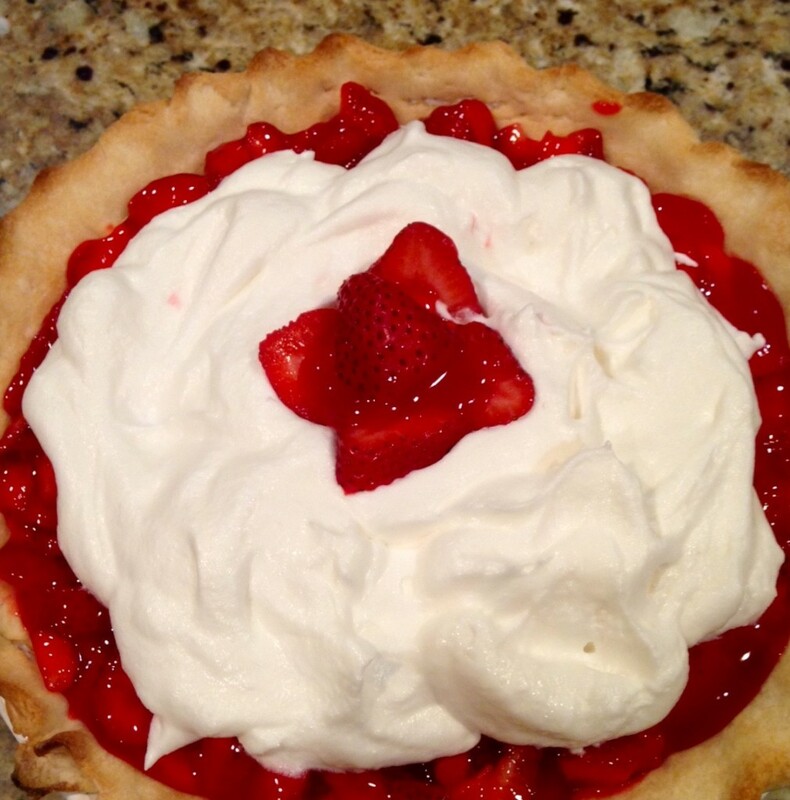 All I can say is I wish I knew Paula 27 years ago to be the guinnea pig for all her strawberry pie attempts. I bet her husband Tony was one fat and happy, man! 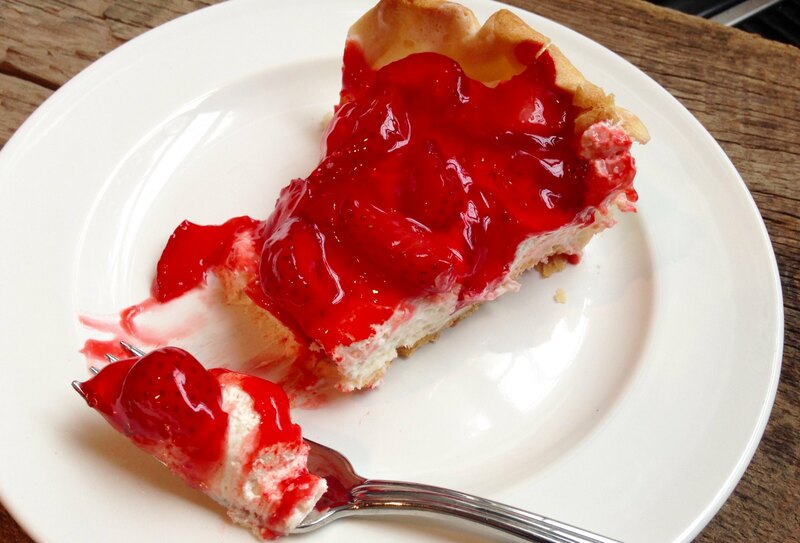 Paula tells me, “At that time I had never seen a recipe like this one, but since then, I’ve seen some pies like it. I have also used peaches with peach glaze or blueberries with blueberry glaze”. 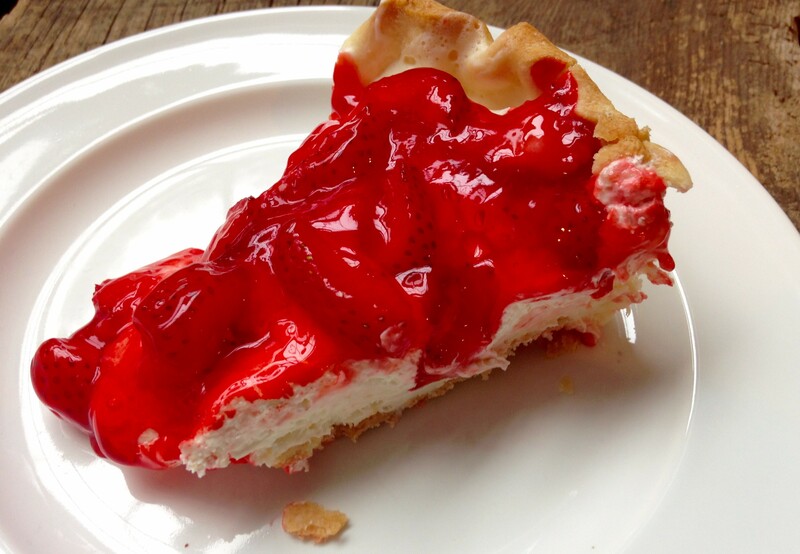 What’s great about this pie is that it is a no-bake recipe except for the pie shell. 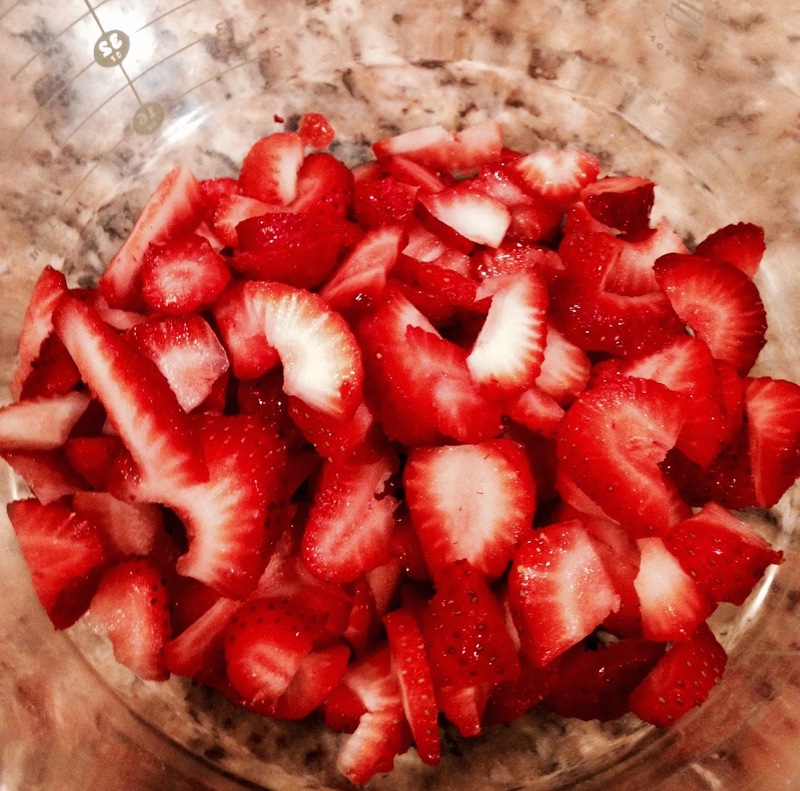 Super easy to whip up in the summer and a perfect way to use those juicy strawberries. Enjoy! Bake pie shell according to package directions. FOR THE FILLING: Beat together the cream cheese, sugar, almond extract, and 1 cup of Cool Whip. Pour into the cooled, baked pie shell. 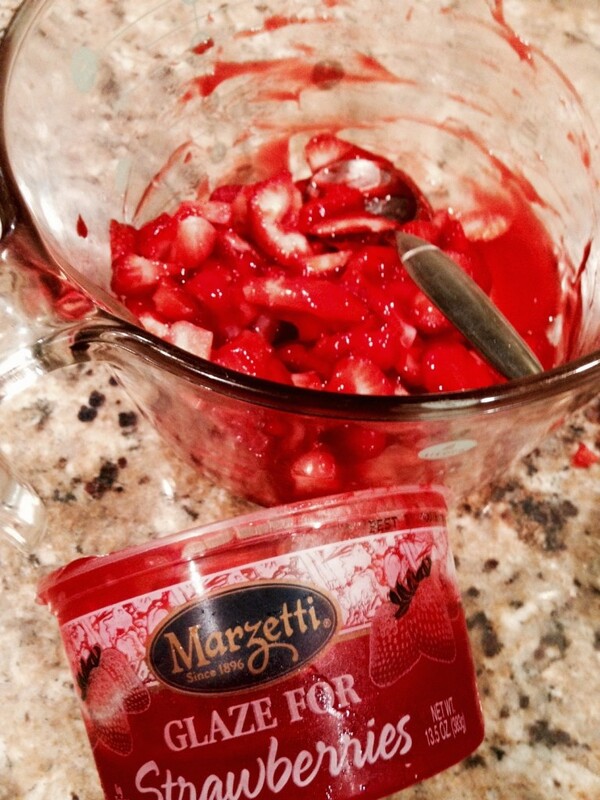 FOR THE TOPPING: Spoon the fresh strawberries over the cream cheese mixture. 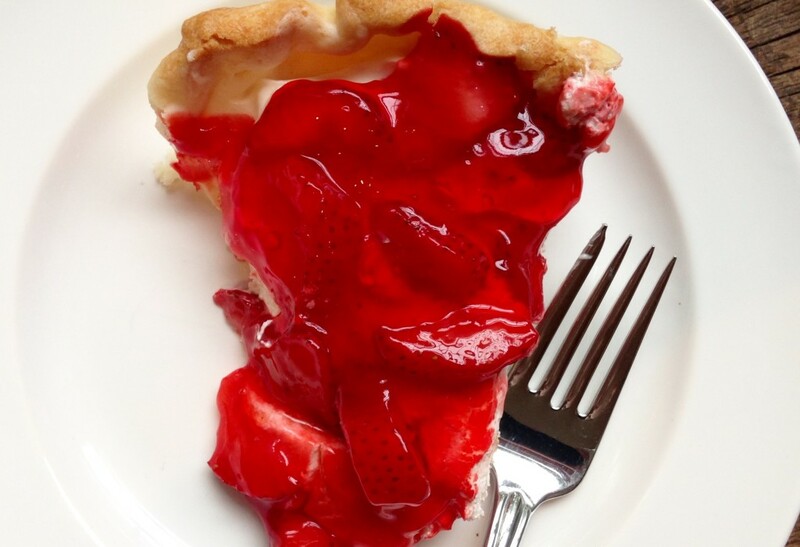 Drizzle the pie glaze over the strawberries. Garnish with the remaining Cool Whip.